Huikai Xie is currently a professor at the Department of Electrical and Computer Engineeringat the University of Florida. He received his master’s degree in electro-optics from Tufts University in 1998 and his Ph.D. degree in electrical and computer engineering from Carnegie Mellon University in 2002. He also holds BS and MS degrees both in electronic engineering from Beijing Institute of Technology. He was a research faculty at the Institute of Microelectronics at Tsinghua University, Beijing, China. 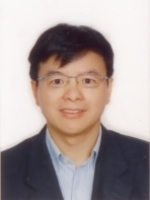 His current research interests include CMOS-MEMS fabrication technology, integrated sensors, integrated inertial measurement units (IMUs), integrated power passives, optical MEMS, biomedical imaging, and fiberoptic sensors.